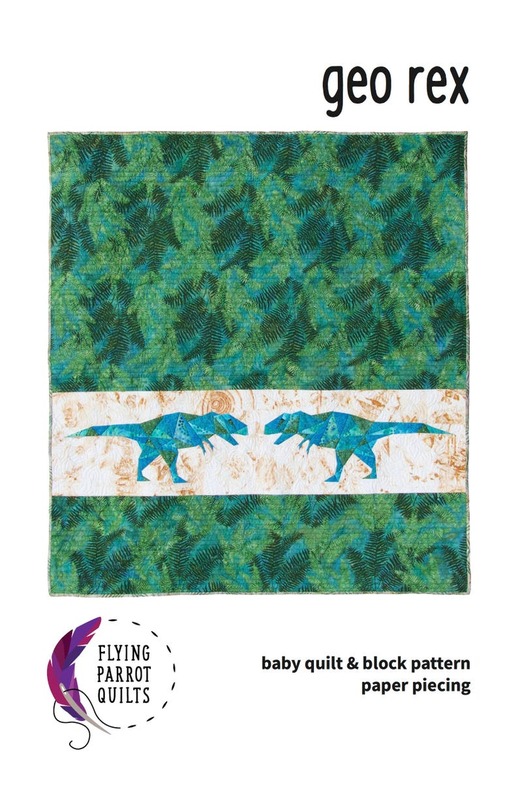 Dinosaur quilt pattern, fantastic and fun paper pieced pattern for a block, pillow or baby quilt, with pull-out templates and easy-to-follow instructions. The paper pattern is for an 20" by 10" block or a 40" x 45| baby quilt. Perfect for both girls and boys - who doesn't love a dinosaur? 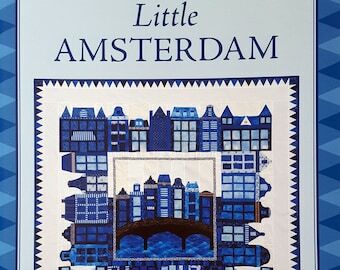 This pattern assumes basic paper piecing techniques, perfect for a confident beginner or anyone wanting to increase their quilting knowledge. The paper piecing for this block is pieced in sections and well explained and illustrated. Fat quarter friendly! From the author: This pattern is for all the girls, boys, and children at heart who love dinosaurs! Foundation paper piece two tyrannosaurs for a 40" x 45" baby quilt, or just use the 20" x 10" block on its own for a mini quilt or wallhanging. Templates are included for both left- and right-facing dinosaurs. Knowledge of basic paper piecing techniques is assumed. Full-color pattern booklet and full-size foundation paper piecing templates on 8 1/2" x 11" paper are included. Written by Sylvia Schaefer of Flying Parrot Quilts, winner of the 2017 Craftsy Fellowship, and emerging modern quilt designer.